This recipe uses embed paper to personalize a simple, yet rustic oatmeal based soap. A great way to tell your wedding or baby shower guests "thank you!" You Save $5.40 buying these items as a kit. 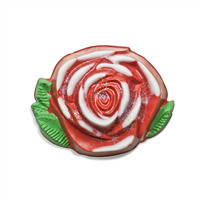 Add some color next to your kitchen sink with this beautiful rose soap! You Save $17.69 buying these items as a kit. Learn how to make lip balm from scratch with this all-natural lip balm making project. You Save $15.07 buying these items as a kit. Use jojoba oil, natural cocoa butter, castor oil, coconut oil, and other ingredients to create this grapefruit scented natural lip balm. You Save $12.97 buying these items as a kit. Spray this appealing body spray on yourself before a night out! You Save $43.60 buying these items as a kit. Jasmine, lavender, orange, rose, ylang, and bitter almond natural aromas scent the moisturizing lotion bars made from this lotion bar making project. You Save $34.69 buying these items as a kit. Create different sized bottles of lemongrass verbena scented lotion with this easy lotion making project. You Save $44.30 buying these items as a kit. 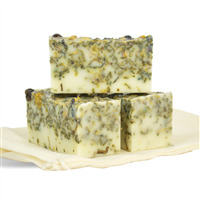 This elegant soap is easy to make and contains a luxurious blend of chamomile, lavender, spearmint, rosemary, juniper and rose petals. You Save $19.40 buying these items as a kit. 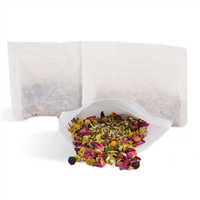 Brew your next bath with the bath tea from this project for a relaxing lavender scented experience. You Save $27.32 buying these items as a kit. 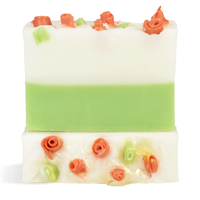 Adorn your green and white soap loaf with beautiful rose bud embeds. You Save $20.00 buying these items as a kit. 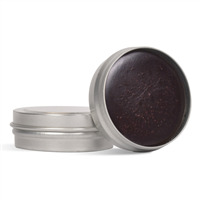 Alkanet root powder creates the dark burgundy color of this cherry scented lip balm. You Save $21.00 buying these items as a kit. 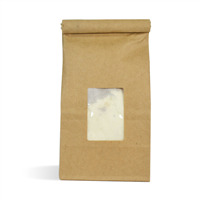 This project includes the ingredients to make 12 bottles of Blushed Orchid Lotion and 12 bottles of Blushed Orchid Body Wash. Package them in the included cello bags to make 12 gift sets. This project is designed as a bridal party gift set. Give these to each member of the bride's bridal party! You Save $25.66 buying these items as a kit. 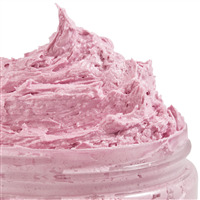 Blend the moisturizing benefits of cranberry butter, safflower oil, and vitamin E into body butter that gives skin a soft blush with this body butter making project. You Save $5.90 buying these items as a kit. Create gifts for your favorite cheerleaders and dancers with the body glitter made from this project. You Save $1.65 buying these items as a kit. This kit will make 15 calming facial steamers. Pamper yourself with a facial spa. 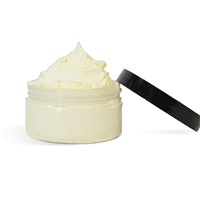 Use at the end of the day to calm, relax and leave your skin feeling soft and moisturized. Drop a tablet into a bowl of steaming hot water. Place a towel over your head and let the steam open your pores and help you relax after a busy day. You Save $17.60 buying these items as a kit. Champagne is thought to be beneficial to the skin because of antioxidants in the grape seed extract it contains. This kit comes with the ingredients needed (except for water and champagne) to create this lotion that is packed with skin nourishing ingredients. KIT DOES NOT INCLUDE CHAMPAGNE. You Save $27.55 buying these items as a kit. 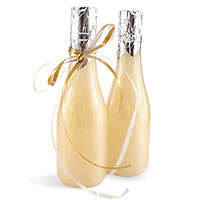 Add some bubbly to your next bath with the champagne body wash made from this project. You Save $40.90 buying these items as a kit. 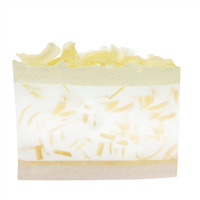 This glitter soap is perfect for a New Year's celebration; wedding or anytime you need something for a special occasion. You Save $11.35 buying these items as a kit. 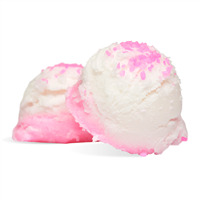 These small bath fizzy scoops are packed with awesome ingredients for the bath and smell of cherry vanilla. You Save $30.75 buying these items as a kit. Use these bath melt "petit fours" to soak away the day's troubles. 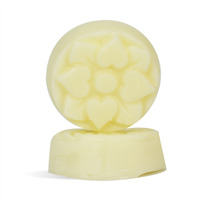 Enjoy the benefits of the natural cocoa butter as it surrounds you to soften and moisturize your skin. Place one bath melt under running water and watch the ingredients just melt into the bath water. You Save $5.56 buying these items as a kit. 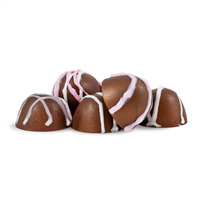 Create chocolate treasures without the extra calories! You Save $17.15 buying these items as a kit. Easily make shave soap bars with this kit. 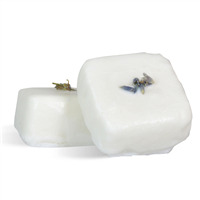 These soaps are fragranced with Bay Rum Fragrance Oil and include slate kaolin clay, basil powder and glycerin for a luxurious shaving experience. We love these as groomsmen gifts! You Save $25.30 buying these items as a kit. 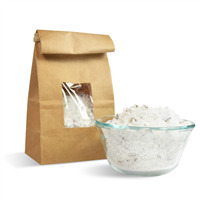 Soothe skin can calm your soul with the bath salts made from this easy project. You Save $8.68 buying these items as a kit. 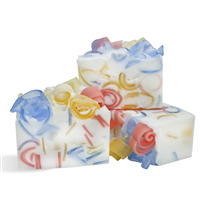 These cute guest-sized soaps make a perfect party favor for graduation parties, baby or bridal showers. You Save $13.35 buying these items as a kit. 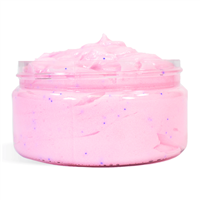 Create a sugar scrub from scratch with this sweet scented pink emulsified scrub project. You Save $20.05 buying these items as a kit. Use this quick and easy lotion kit to make last-minute gifts, hostess, teacher, etc. Everyone will love the Cranberry Fizz Fragrance! 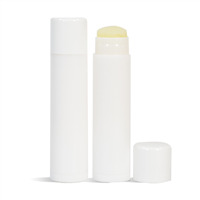 Olive oil, coconut oil, shea butter, and jojoba oil give this strawberry lip balm its smooth and moisturizing feel. You Save $10.12 buying these items as a kit. 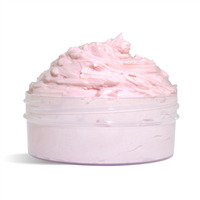 This project is easy to make, creates a moisturizing product, and will be loved by your customers. You Save $29.85 buying these items as a kit. Host a pampering party with the facial scrubs and moisturizers made from this kit! This kit includes all the ingredients to make 11 facial sets. We love this for pampering bachelorette parties or other spa inspired parties. Your guests will love the handmade from scratch moisturizing lotion and the Pink Sea Salt and sugar scrub made from this kit. You Save $42.10 buying these items as a kit. Cleopatra’s renowned glowing skin was the source of inspiration for this luxurious bath milk recipe. 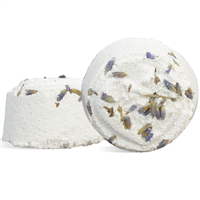 Buttermilk powder, baking soda, chamomile, cornflower petals, calendula flowers, lavender, rose petals, hibiscus and orange peel combine to create a memorable bath time experience. You Save $11.15 buying these items as a kit. 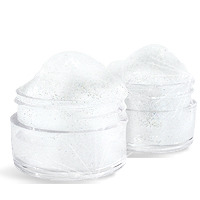 This classic Foaming Sugar Scrub is easy to make and popular among a wide variety of customers! This quick and easy recipe is perfect for large batch events like fundraisers and craft shows. Swap out color and fragrance if desired! You Save $13.55 buying these items as a kit. 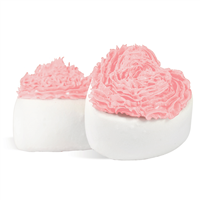 Share these heart-shaped bath fizzies with that special someone as a handmade Valentine’s Day gift. You Save $34.45 buying these items as a kit.